Comfort Seat combines quality, beauty and comfort with one innovative design. You can easily place the cushion anywhere, on any surface. No slipping or losing your balance. A robust, reliable and quite air heater with a competitive price. The heater is easy to install and serve and is suited for automotive as well as RV or leisure marine applications. 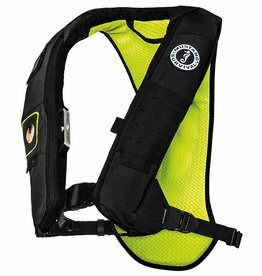 The award-winning MD3184 02 Inflatable PFD with HIT" (Hydrostatic Inflator Technology) and Sailing Harness is Mustang Survival's top-of-the-line inflatable PFD with an integrated harness. A premium surface treatment that provides superior protection against harmful UV rays that cause discoloration, fading, embrittlement, cracking, chalking and/or loss of mechanical properties. Premium Marine Polish with PTEF is simply the best polish you can buy. The PTEF polymers provide unmatched protection against UV rays, seal the surface to repel stains and deliver a deep, long-lasting gloss.